Ready to start exploring on your road trip. 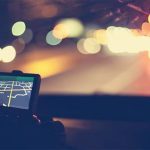 Getting lost in the great outdoors could be a stressing experience so adding on a GPS to your rental is a great idea to make sure you stay on track at all time. There is also a voice option to have the instructions said to you to make sure you do not take any wrong turns. Worried about the long journey ahead and feeling tired from all the driving. Adding on that additional can make the journey less stressful. It is not always necessary for the additional driver to come along at time of collection. Various options can be discussed at time of booking. If you require any baby or booster seats we have various ones available. You will need to specify this at time of booking. If you have your own baby seat which requires isofix please mention this at time of reservation and we will supply a vehicle with this. We provide insurance for your rental. The insurance provided does come with an excess which your are liable for if there is any damage to the vehicle on return. You do have an option to reduce the excess to a lower cost. This must be added on before your rental. If you are between the age of 25 and 75, subject to conditions, you may wish to reduce your excess by taking our Excess Reduction product for an additional fee. We are one of the few company’s in Cambridge that allows young drivers!! The Minimum age for a young driver is 21 years old. There are certain groups young drivers can hire plus there is an additional surcharge added on for drivers age 21-22 years old. Please refer to our rental check list for our full terms and conditions.